Throughout our lives we all encounter moments of struggle that rip us apart. It is in these moments that we cannot tell up from down and we aren't sure if we will ever be able to stand on our own two feet again. So we retreat into the comfort of the darkness. Yet, we are not meant to go at it alone. There is a world filled with divine human beings who want to reach out, lend a helping hand, and let you know that you are seen. 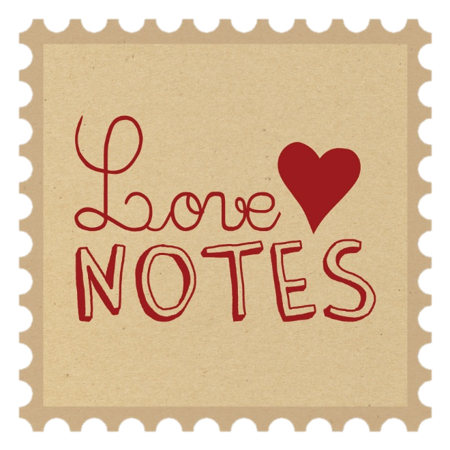 I have watched this unfold first hand through the Love Notes Fairy's and it has continuously restored my faith in love, compassion, and kindness. The Love Notes Fairy's are a group of individuals with wide open hearts. They are ready and willing to send out handwritten notes to individuals they have never met. They open their hearts because they understand the power of good will and they know that even a few words written on a card can shift someones day. Most likely they will never meet the people they write to, but they are ok with that. They know what matters most is reaching out. Each month nominations are submitted by friends, family, and neighbors of individuals who could use a little extra love. Some life circumstance has brought them to their knees and receiving a bouquet of love notes delivered to their mailbox (yes, their real mailbox) is something their friend knows will help bring a bit of sunshine to their days. And so the fairy's get to work. They send out cards with no expectation of anything in return. They may never even hear if their card was received. But, they understand the chain reaction of kindness that can occur and trust the universe to inspire others to continue passing it along. These fairies are beacons of light on dark days, carrying messages of hope, love, and compassion. There is no judgment for where the other person is in their life, just words of tenderness. Sometimes all we need is to know that we are not alone. For the past five months the Fairies have been showing up and each day more join in on this secret mission of love. It is the simplest things in life, the small acts of kindness, that mean the most. We must never forget this and choose that kindness each and every day. This is what it is all about. A blanket of healing letting a stranger know that there are others out there who care, and that they are never ever alone. Yes, this can all happen with one single card arriving in someone's mailbox. Something that may take you two minutes to do can cause an incredible shift in someone's life. Go ahead, send a card today. I dare you! Let someone know you see them, you love them, and that they are never alone. Pop it in the mail and release all expectations of what is to come. Just allow the universe space to work it's magic. And if you want to spread a little more joy and love join in on the Love Note's Fairy Secret Mission. You will be so glad you did.